SouthGroup Gulf Coast - Your Trusted Choice: Hang On --- It's Almost Hurricane Time - Be Prepared! Hang On --- It's Almost Hurricane Time - Be Prepared! The names for the 2014 hurricane season have already been chosen. The season will officially start on June 1 and end on November 30; these dates conventionally determine the period of each year when most tropical cyclones form in the Atlantic Basin. However, the formation of tropical cyclones is possible at any time. In preparation for the upcoming 2014 Hurricane Season, SouthGroup Insurance Gulf Coast is once again hosting our popular Hurricane Preparedness Contest! Visit us on facebook at www.facebook.com/southgroup.gulfcoast to check out our ice chest full of snacks, first aid, water and other supplies that you could win, plus a $25 Walmart gift card to help you with your own supplies. Fortunately, all factors indicate this will be a mild hurricane season. The Bermuda High is often the biggest factor in where a hurricane hits. When a warm air mass forms over the Atlantic, the closer it is to us, the greater the threat that the eye of the hurricane will make an impact on the Gulf Coast. The further it is, the more likely the hurricane will hit further up the east coast. It’s too early to tell where it’ll form. This factor is one of the most difficult when it comes to forecasting hurricanes. Even when forecasting a mild hurricane season with a below average number of storms, a devastating hurricane can still hit a coastline. History teaches us that a lack of hurricane awareness and preparation create more problems following a major hurricane disasters. By knowing in advance what actions you should take, you can reduce some of the effects of a hurricane disaster. Hurricanes are among nature’s most powerful and destructive phenomena. If you live in an area prone to tropical storms and hurricanes, you need to be prepared. Even areas well away from the coastline can be threatened by destructive winds, tornadoes and flooding associated with these storms. Even though hurricanes can be a major impact, tropical storms and tropical depressions can also be devastating. Floods from heavy rains and severe weather, such as tornadoes, can cause extensive damage and loss of life. Storm surge and large waves produced by hurricanes pose the greatest threat to life and property along the coast. Storm surge can reach heights well over 20 feet and can span hundreds of miles of coastline. More intense and larger hurricanes produce higher surge. The strong winds of a tropical cyclone can cause dangerous waves that pose a significant hazard to coastal residents. When the waves break along the coast, they can produce deadly rip currents—even at large distances from the storm. Flash flooding, defined as a rapid rise in water levels, can occur quickly due to intense rainfall. Longer term flooding on rivers and streams can persist for several days after the storm. Hurricanes and tropical storms can also produce tornadoes. Tornadoes most often occur in thunderstorms embedded in rain bands well away from the center of the hurricane; however, they can also occur near the eyewall. Hurricane-force winds, 74 mph or more, can destroy buildings and homes. Debris, such as signs, roofing material, siding and small items left outside become flying missiles during hurricanes. Winds can stay above hurricane strength well inland. The National Weather Service (NWS) continuously broadcasts warnings, watches and forecasts, but you may be wondering what some of the terms mean. Below is a brief explanation of the weather terms you will hear in an emergency situation. For more information, visit www.noaa.gov. „„HURRICANE WATCH: An announcement that hurricane conditions are possible within the specified area. Because hurricane preparedness activities become difficult once winds reach tropical storm force, the hurricane watch is issued 48 hours in advance of the anticipated onset of tropical-storm-force winds. „„TROPICAL STORM WATCH: An announcement that tropical storm conditions (sustained winds of 39 to 73mph) are possible within the specified area within 48 hours in association with a tropical, subtropical, or post-tropical cyclone. „„HURRICANE WARNING: An announcement that hurricane conditions (sustained winds of 74 mph or higher) are expected somewhere within the specified area in association with a tropical, subtropical, or post-tropical cyclone. The hurricane warning is issued 36 hours in advance of the anticipated onset of tropical-storm-force winds. „„TROPICAL STORM WARNING: An announcement that tropical storm conditions (sustained winds of 39to 73 mph) are expected somewhere within the specified area within 36 hours in association with a tropical, subtropical, or post-tropical cyclone. „„EXTREME WIND WARNING: Extreme sustained winds of a major hurricane (115 mph or greater), usually associated with the eyewall, are expected to begin within an hour. Take immediate shelter in the interior portion of a well-built structure. Additional Watches and Warnings are issued to provide detailed information on specific threats such as floods and tornadoes. Local National Weather Service offices issue Flash Flood/Flood Watches and Warnings as well as Tornado Warnings. Some other important things to consider are how to prepare your surroundings. Remember to trim those tree branches which may be a threat to you or your neighbor's property in the event of heavy winds. If you own a boat, make sure it is secured. Any loose lawn furniture or decorations should be placed inside your home to avoid becoming projectiles. Help your neighbors do the same! When evacuating, be sure to avoid flooded roads. Keep your radio tuned to local stations or carry an NOAA weather radio. Fortunately, in Hancock County we our own local radio station created for emergency situations in our area. As long as you are local, you may tune in to 103.5FM and when you are able you can also listen to this station streaming online. In preparation for the upcoming 2014 Hurricane Season, SouthGroup Insurance Gulf Coast is once again hosting our popular Hurricane Preparedness Contest! Visit us on facebook at facebook.com/southgroup.gulfcoast to check out our ice chest full of snacks, first aid, water and other supplies that you could win, plus a $25 Walmart gift card to help you with your own supplies. Now is a good time to review your insurance coverages and be sure to let your Trusted Choice Agent know if there have been any changes in your home, marital status, or mortgage holders. 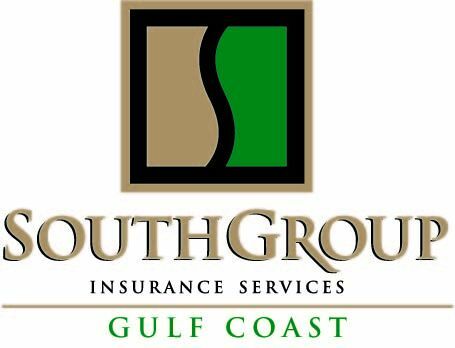 Most importantly, as your Trusted Choice Insurance Agent, SouthGroup Insurance Gulf Coast wants you to know you can call on us with your questions or concerns seeking more helpful advice or answers to your pressing insurance questions. A full insurance review is always your best bet to make sure you have all of the adequate coverage for your personal insurance needs. Remember, we offer a personalized insurance review to anyone who is interested at no charge – just visit any one of our 3 convenient coastal locations! We are your LOCAL Trusted Choice Advisors, SouthGroup-Gulf Coast http://www.southgroupgulfcoast.com , SALES AND SERVICE AGENTS: Angelyn Treutel Zeringue, Tammy Garfield, Tammy Hogue, Brittany Jones, Denise Russell, Melissa Moran, Alex Treutel, Susan Monti, Anne Gillam, Ashlie Moody, Michael Reso, Mark Strickland, and Whitney Zimmerman at SouthGroup Gulf Coast. You can reach us by snail-mail or in person: 412 Hwy 90, Suite 6, Bay St Louis MS 39520, email: atreutel@southgroup.net , phone: 228-466-4498 begin_of_the_skype_highlighting 228-466-4498 FREE end_of_the_skype_highlighting fax:888-415-8922, FaceBook www.facebook.com/southgroup.gulfcoast, or Twitter www.twitter.com/atreutel ! We have 3 Gulf Coast locations to serve you - 2505 Pass Road - Biloxi, 5400 Indian Hill-Diamondhead, and 412 Hwy 90 Ste 6-Bay Saint Louis, MS. We write coverage in 40 different states and can assist you with Mississippi insurance, Louisiana insurance, and Alabama insurance and many other states. Insurance is stressful, but we make saving easy. We help you save money on insurance! Spring has Sprung! Time for Spring Cleaning!